Cape Survey uses rapid 3D laser scanning to produce 2D floor plans showing detail such as walls, doors, windows, and plumbing fixtures. The intention of these plans is to document any deviations from the architect’s original design or to produce a complete new set of drawings where the original documentation may no longer exist. As-built plans serve to create up to date documentation of the layout of many tenant spaces which may have changed over the years. 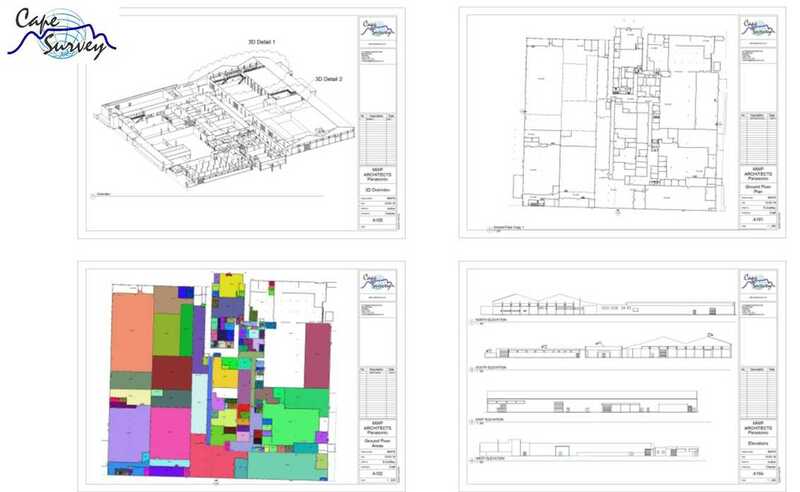 Most often as-built floor plans are utilized by building owners to determine the gross and rentable areas by identifying the square meterage of tenant areas, common areas, and major vertical penetrations in accordance to SAPOA specifications.